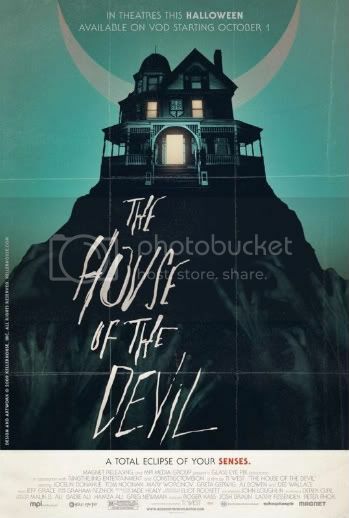 Thank you for sending me The House of the Devil. It wasn't easy for me to put it back into the envelope and return it to you after watching it. However, you will get it back shortly, I promise. As for the mysterious substance on the disc, it should rinse off with ease. Sorry about that. Also, I accept the risk of over-hyping this movie because, frankly, it rocked my dang world. 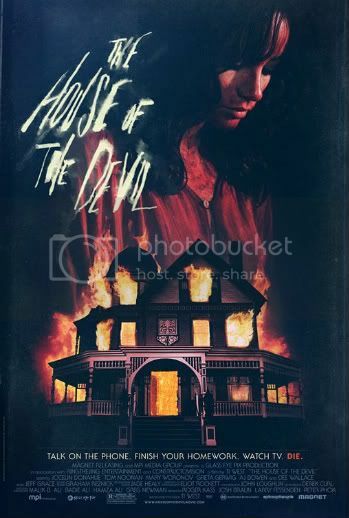 The House of the Devil is intensely scary and insanely cool and I suggest that you send as many copies to as many houses that you can. Everyone needs to see this. Thanks.